Humanity Colors, an icon theme pack designed by the Ravefinity Project which provides Humanity (the default Ubuntu icon theme) in various colors, was updated with 3 new colors along with other changes and bug fixes. Humanity Colors 14.04.3 includes 3 new colors: Manila, Aqua, Teal, bringing the icon theme to a total of 12 colors variations (the theme already included the following colors: blue, brown, graphite, green, orange - different from the default Humanity orange -, pink, purple, red and yellow), all available for both dark and light panels. It's also worth mentioning that the icon theme no longer requires Humanity and Ubuntu Mono icon themes to be installed, these being bundled with the theme. Because of this, Humanity Colors now uses about 90-100 mb of HDD space. In the email I received today from Jared, he mentioned that Ambiance & Radiance Colors are to be updated to match the new colors at some point. For now though, Ambiance & Radiance colors is available in 9 color variations - see THIS article for more info. 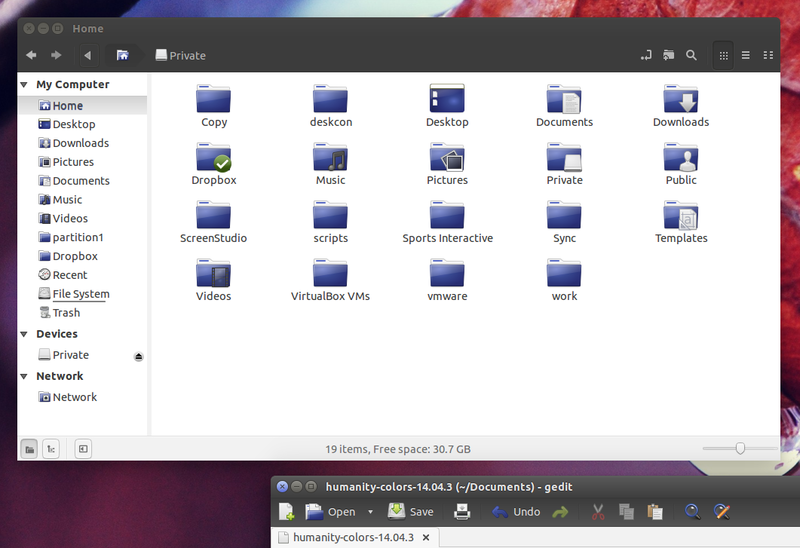 As a reminder, Humanity Colors icon theme pack should work with Unity, GNOME (Shell), Xfce, LXDE, Openbox and probably other DEs/shells too. 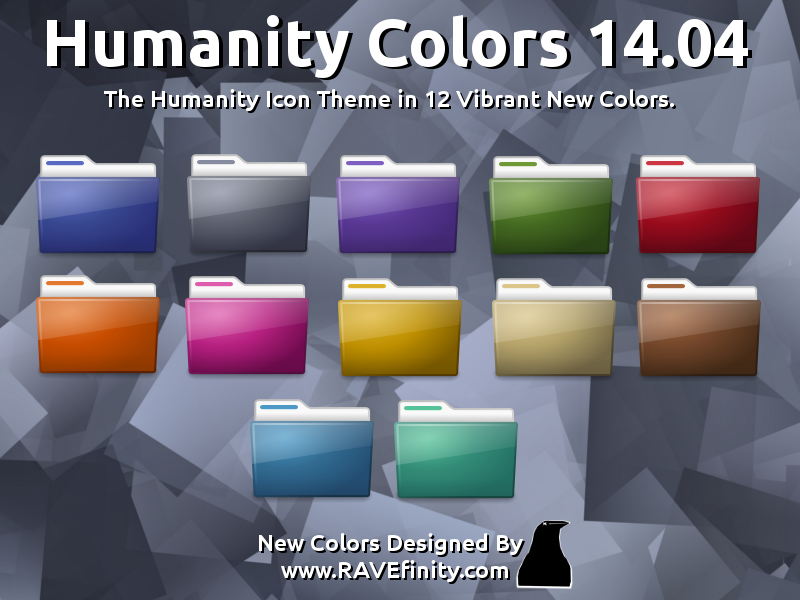 For other Linux distributions, grab Humanity colors from the Ravefinity website. To change the icon theme in Unity, you can use a tool such as Ubuntu Tweak or Unity Tweak Tool. For GNOME Shell, you can change the theme using GNOME Tweak Tool. Make sure to set Humanity-dark-COLORX icon themes for dark panels and Humanity-light-COLORX for light panels. For matching GTK themes, see: Ambiance And Radiance Colors Theme Pack Available For Ubuntu 14.04. Thanks to Jared Sot for the tip!